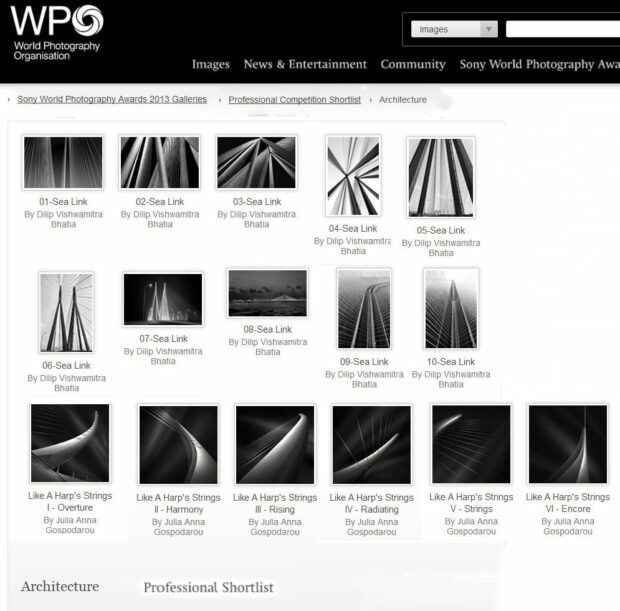 Many congratulations on being selected for the top 10 professional shortlist in the Architecture category, in the 2013 Sony World Photography Awards. Winners to be announced on April 25th so I need some fingers crossed here!! Now the hardest part is that I have to do a video of myself talking about my images, to be included in my presentation for the exhibition that will take place in London 26th April – 12th May at Somerset House London and I’ve never ever done a video of myself …actually I haven’t done too much DSLR video generally.